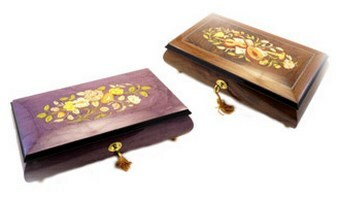 These are beautiful inlaid boxes that can produce 36-note music when opened. These are very practical jewelry boxes. These are wonderful gift articles. These music boxes are lockable. They are crafted with high quality wood like walnut and the natural designs on the boxes render them beautiful. 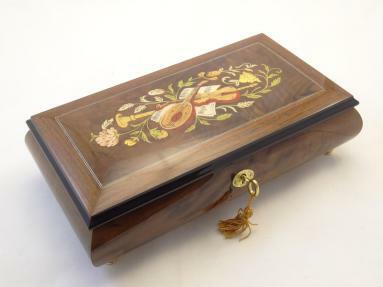 The intricate inlays on the boxes are concrete examples of the superior Italian workmanship. The floral inlays especially display the superior imagination of the artisans. These authentic Sorrento music boxes can serve as great gift articles.